Regarding the query for a sister appliance 241FLM, please see this one Paul. the station name plate holders were left during it's GLC days too. This is 242FLM, pictured at B24 Butlins, sorry Dockhead, 1970s. 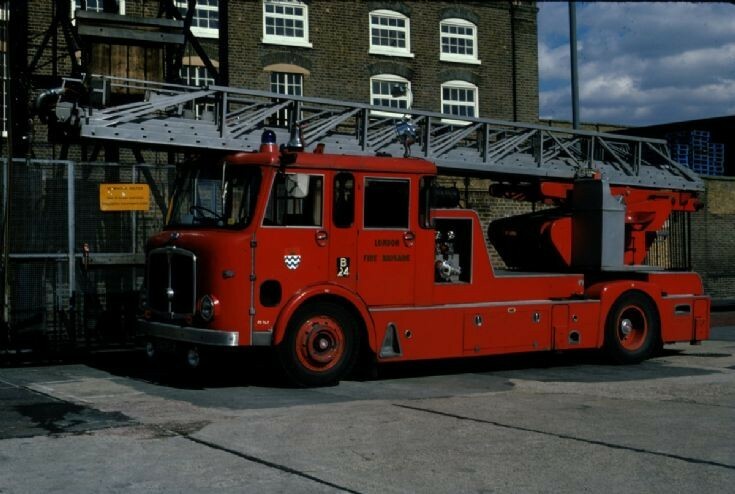 One of the later London Merryweather ladders, with the recessed front axle and four door cab. Note also the independently-powered 450 GPM pump, powered by an Austin 2.4 liter diesel taxicab engine. Added by Rob Johnson on 15 May 2017.